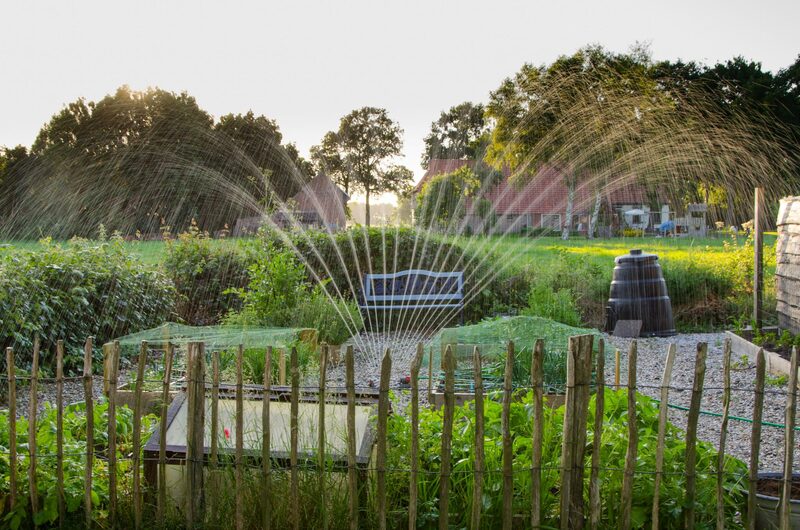 Check out these tips for a better spring irrigation setup. Over the winter, your irrigation system can become affected by the freezing temperatures, snow, and ice. It’s time to make sure your irrigation is in the best shape for spring and summer to help you save water, money, and grow your beautiful garden and landscape! First, visually inspect all the irrigation components to make sure they are in working condition when the water is turned on. Pay attention to the backflow prevention device, as you may need to have it tested. Also, make sure all the valves are closed, as they may have been open from when you drained the system before winter. Cleaning your filters is a very important step, and is essential for a successful drip irrigation system. Clean the filters by removing them from the filter body, then wipe off any sediment. There may still be some dirt and debris on the filter, which can be cleaned by placing it in a small container of water. The key to turning on the main water valve is to do it slowly and easily, as you don’t want to cause any damage from a strong surge of water. If you turn the valves on too quickly, the water will move at a high velocity and damage the irrigation system. When you hear the water start to flow, stop after a few seconds, and take the time to inspect the system again for any leaks. For drip systems, the next step is to remove the end caps and flush the system. This simply means to run water through the system for a few minutes (two or three) to remove any debris and dirt trapped in the emission devices. This prevents clogging and backups in the future. This entry was posted on Friday, May 25th, 2018 at 12:32 pm. Both comments and pings are currently closed.